Wiggle bum, fur kid, adorable, loyal, bed hog, best friend – these are just some of the terms of endearment we use to describe our dogs. 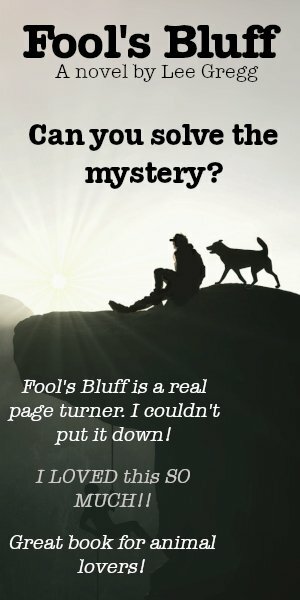 After all, Dogs are Family! 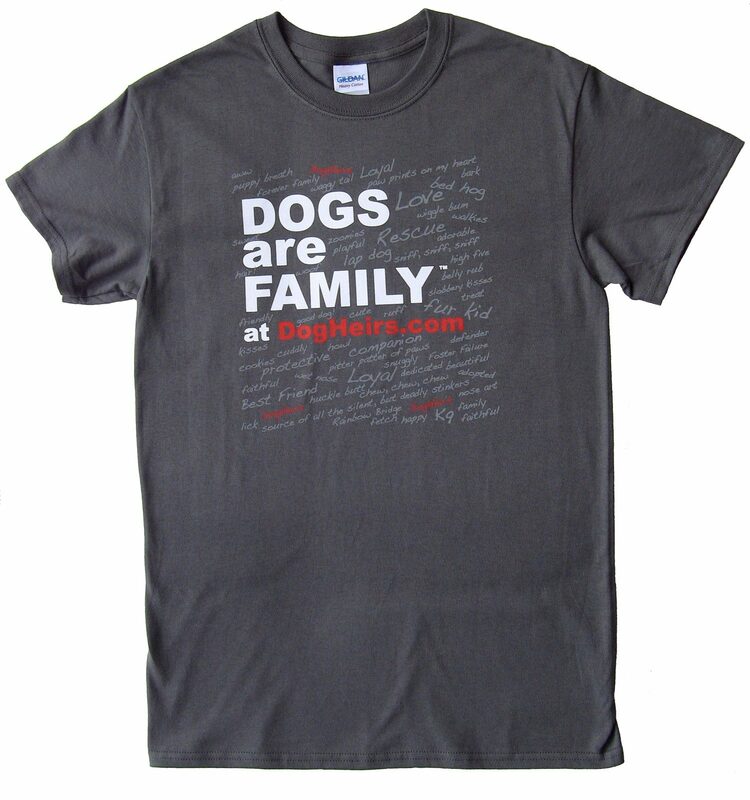 The DOGS ARE FAMILY® at DogHeirs T-Shirt is available in charcoal color and is screen printed on a 8.9-oz, 100% cotton preshrunk material. This Unisex T-Shirt provides a comfortable fit and the double-needle stitching throughout gives increased durability. Please include a Contact Phone Number with your order. It is needed for shipping via Canada Post. Prices listed are in Canadian dollars for ALL SIZES. For US & International customers, currency conversions will be managed by your credit card company or PayPal and applied after purchase. T-shirts are available in Small (S), Medium (M), Large (L), Extra Large (XL), 2x Extra Large(2XL) and 3x Extra Large (3XL) SOLD OUT sizes. 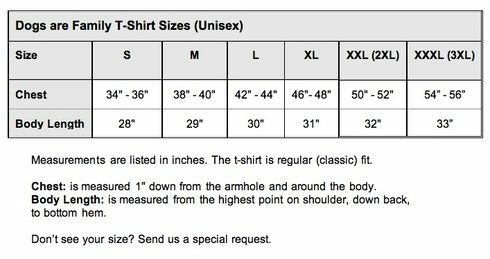 See the Size Chart above. Measurements are listed in inches. The T-shirt is regular (classic) fit. Chest is measured 1″ down from the armhole and around the body. Body Length is measured from the highest point on shoulder, down back, to bottom hem. Care Instructions: Machine wash cold, tumble dry low or hang dry, and don’t iron our awesome design! Please note, T-Shirt may shrink a bit after washing.